WILL YOU HELP THESE PEOPLE GROW IN THE LORD? It has been wonderful to see the excitement and happiness on the faces of the people that received their NEW TESTAMENT ON CASSETTE TAPE. 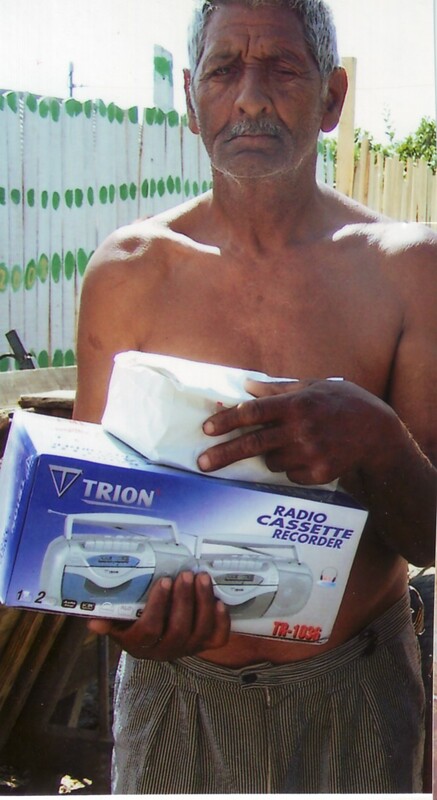 In many cases, we also handed out new CASSETTE PLAYERS. We were able to distribute 10 complete sets of the New Testament on Cassette. 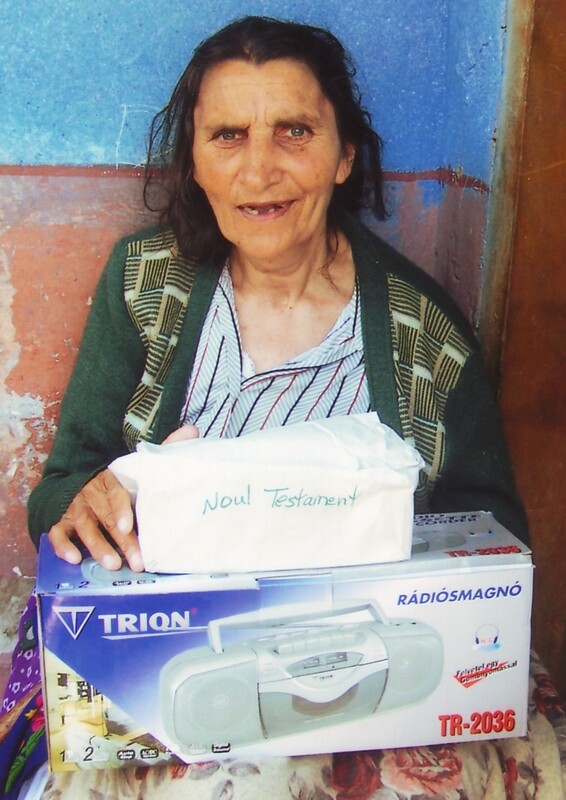 We also gave out 6 new cassette players. We purchase the cassette players in Romania at the cost of $45 each. In most of the places in the villages, they do not have electricity so they must use batteries. This is costly to the family but we try to supply a few batteries with each set. These items have been given to illiterate poor families who are unable to read the Bible. Most of these live in villages in central and southern Romania. Many of these people live in Horezu Poienari, where the church we opened almost 2 years ago is located. In addition to the New Testament on tape, Mission To Serve has provided several pastors with Bibles, New Testaments and gospel tracts for entire villages in 3 languages (Gypsy, Romanian and Ukranian), Bible Study courses for the young people and song books. We know that we are unable to minister the gospel to everyone; however, by supplying the pastors with the materials they need is an answer to prayer for them. If you would like to help with this project, please designate it for: New Testament on Tape and Cassette Players. Thank you and God bless you for joining us on the mission field in Romania. Or click on the box below to make a donation through PayPal or to use your credit card.